Welcome to the e-Book Cover Design Awards. This edition is for submissions during July, 2013. JF: Masterful. Beautifully constructed from many elements, yet completely under control. Notice how the story elements are kept in the background, never overwhelming or even changing the tone of the cover. When you can design at this level, with subtlety and storytelling, you don’t need anything that will take away from the whole. JF: This is a book of photography designed solely for the iPad, and in that context it’s a beautiful and appropriate cover whose image really captures the energy of Shinto festivals. JF: Good job, I like the strong image created by the sword, the rest is a bit busy. There’s a lot of visual activity within the Leonardo painting itself, and a lot going on on this cover. The “A Novel” line needs a bit more air. JF: Considering the title, I would have expected something more emphatic, both visually and typographically. JF: Quite a bit going on here, difficult to keep it all hanging together. Angela Oltmann submitted In Good Hands designed by Angie-O Creatioins. Angela Oltmann submitted Seawolf – Mask of Command designed by Angie-O Creatioins. JF: It’s always a challenge to combine very different images this way, but it works here to highlight the series’ heroine. JF: Suffering from weak typography and that “pasted on” look. JF: Great job for your first time out. Your image composite works better than most, provides atmosphere and hints at the story. There are so many good things, you could probably get rid of the torn edges and strengthen the basic message. Less is more. Carlyle McCullough submitted Nikolas and Company: The Foul and the Fallen designed by Carlyle McCullough. JF: It looks terrific, but it’s so dark I can’t really make it out, not even to read that blue type. JF: Sullen? Or bored and disinterested? Take your pick, that’s what’s likely to greet this cover. JF: The light weight of the dark red type will become less and less visible as the cover is reduced, usually a bad outcome. Ceri Evans submitted Oak and Mirrors designed by Ceri Evans. JF: Not sure you need all the effects on the type, but I like it, very attractive cover. JF: The style of this cover seems completely wrong for a book of tribal mythology, it looks like a desert trail guide. JF: Photoshop fun. A designer may have been able to make an interesting cover from this image, but this isn’t it. JF: Yes, stretched on the rack, have pity. There are likely better fonts for these covers, but not with big, colored drop shadows. JF: I like the airy atmosphere and confident composition, but the Chinese characters may detract more than they add, or they are at war with those stars, too much going on. And take the colon off your title, you don’t need it on the cover. JF: I like the concept, but the typography here is very weak. JF: Nice job, I bet your sales improve. JF: Fantastic book description that, sadly, isn’t reflected at all in the cover. Where’s all that drama gone? A more expert hand is needed to create a cover for your story. JF: Hard to read, and no fantasy, no danger, nothing to draw us into your story. JF: I think you have an interesting graphic vision, but you need to find better fonts for your covers, it will improve them a lot, and you won’t have to use all those outlines. Gaelen VanDenbergh submitted Running Against Traffic designed by Todd Engel. JF: Disturbing in all the wrong ways. The martini glass balanced on the porch railing, and menacing the poor girl at the top is almost a master class in how not to composite images. JF: Yes, the illustration looks quite nice, but you haven’t gotten a good ebook cover out of it. You don’t need all that black, it’s not adding anything, but you do need much better typography. Please see my notes on the cover immediately below. JF: Yet another example of an illustration that might create a nice ebook cover if it met some type that actually worked. JF: Smart to keep it simple while you’re learning. Next lesson: typography. JF: It does have that “blaxploitation” film look to it. Jennifer Quinlan submitted The Dilemma designed by Jennifer Quinlan. JF: Unfortunately, that big ornate frame at the top may well be the source of this poor woman’s obvious pain. It’s a bit overdone, and taking up a lot of the visual attention that should be going elsewhere. JF: Hard to read the title, and intentional or not, those haloes around the figures make it look like a cut-and-paste. JF: Sign me up! Love it, well done. JF: Looks just right for its genre. JF: A strong and confident cover that will catch readers’ eye. Kathryn Grimes submitted Creatura designed by Claudia McKinney of Phatpuppy Art. JF: It’s pretty amazing, but the artwork is so explosive it almost makes the title into an afterthought. JF: Incongruous images don’t communicate sexual tension. JF: Confusing, without any clear message. Linda McCabe submitted Quest of the Warrior Maiden designed by Iain Morris. JF: Great example of a strong hook, it immediately involves us in the story. Mallory Rock submitted White Chalk designed by Mallory Rock. JF: Haunting and appealing. Beautiful use of textures too, just great. JF: Great use of a stock image transformed by the designer’s vision. Very effective. Martha Miller submitted Murder at Cape Foulweather designed by Keith Miller. JF: The way to start the cover design process is to look at books that are selling well, and which are similar to your book, or would sell to the same readers. Mary Pat Hyland submitted The House With the Wraparound Porch designed by Mary Pat Hyland. JF: Pleasant, but do you notice how the whole cover focuses us on the nozzle of the garden hose? Why? JF: Would have been a lot more interesting and effective without the feathered border. JF: An accomplished artist, but the type looks like it’s been forced into the shape at the top, and I’m not sure a hat is enough to draw people in. JF: Cute, and I love your title type, but the cover suffers from not having any element dominant, and that makes it hard to integrate everything into a unified whole. JF: It’s a bit dark and I’m not crazy about the way the two main lines of type relate to each other, but it does work overall. JF: Absolutely charming and appropriate. Tell him to keep going! JF: Looks to be an interesting illustration, but the way the type has been treated and the overall layout is just really wrong. There’s no purpose to torturing the type to the point it’s almost unreadable, and the big dark area of the main figure’s back is the where the title should be anchored. JF: Well, you’ve got all the right elements, but they are not coming together too well. Typography is confused with too many styles, and the images are struggling to make sense. Why is the boy staring at the pyramid? JF: Using comic-style art is an interesting approach, although the rest of the cover doesn’t really say “romance” to me. JF: Lovely, good decision on your part. Stacy Claflin submitted Forgotten designed by Bryan Hufalar from bhphotoart.com. JF: Another paste-up at war with itself. 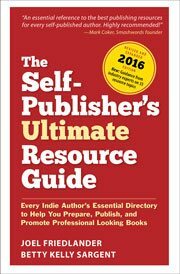 JF: We can now hire many of the same cover designers who have been working for traditional publishers for years, and that’s what I recommend to anyone who wants a truly effective book cover—the most important single piece of any fiction book marketing plan—unless you are a trained artist yourself. Thomas Pluck submitted Steel Heart: 10 Tales of Crime and Suspense designed by Sarah Bennett Pluck. JF: An interesting design, almost a throwback to the 1960s, but that one empty balloon bothers me. JF: Unfortunately the cover’s a bit confused. Unlike “Steel Heart” above, this book has no business with brushed metal type, does it? Not sure what the message is here. JF: A workmanlike cover that doesn’t seem to embody the promise of the title. JF: The elements of a lovely cover, but all the type appears to be too small and pushed to the side by the illustration. Christopher Perdue submitted The Prewrath Rapture: Answering the Critics designed by Christopher Perdue. Damien Diecke submitted Sincere Seduction designed by Diviya Nand. JF: Cute concept, but this fellow looks quite the liar. JF: Very nice, could be improved by making the reflected type much darker. JF: And thanks for entering! Unfortunately your cover has fallen victim to the “pasted on” look, and has no hook to interest the reader. JF: Karl, I think it’s entirely respectable, and better than that. I’m not sure I would have chosen quite so forbidding a scene, the Tusk looks like quite a challenge, but if that’s your market, they will eat it up. JF: Could be a good comic concept, but I wouldn’t torture the type that way. JF: Like the photo, not too crazy about the “sailing” type. JF: The photo is the main attraction, but the rest looks a lot like a business book. It’s not a business book, is it? It was great to see the July covers, I’ve been looking forward to it. Here’s my take on what I saw, with no offense intended. First impressions count in today’s glutted book market, and second chances are few. There’s nothing remotely energetic about “Energetic? Change!” Looks like an old Dover book. Some color would help tremendously and support the title. Summer of the Eagle: Here I go again with seeing something that isn’t there, but they almost looked like a two-headed creature. His body is way out of proportion to hers, and her head is resting on…I can’t tell. And the waterfall looks like a calendar or screensaver. Quest of the Warrior Maiden: I really like the tones in this one, but what is that thing across the side of her face? Part of the helmet? Maybe the sword’s hilt? It’s very distracting in an otherwise realistic, glowing cover. The Dilemma: This reminds me of last month’s yoga book with the title forcing the woman down on the cover. The young lady also looks too sulky and woe-is-me to make me want to pick this up and read about her. Choices: Hmm, Rose meets bridge tender??? Trip: Where’s the dog? It needs a white dog. Rainbow’s Lodestone: Gorgeous! Wow! I’d buy it just for the cover art. If One Falls: I can’t really read the title without squinting, and the cover looks like someone posed their two cousins in re-enactor outfits. It doesn’t look professional, it looks like you’re on a tight budget. This book sounds interesting, with a new spin on things (Christian Fantasy), but the cover doesn’t do it justice. Brimstone: What the heck? Mars and parachutes? With all the fantastic sci-fi art out there, there’s no excuse for this. Seawolf: Could anyone walk by those eyes and not pick up that book? Thanks for the feedback! I’ve been looking at other fonts, but I’d like a hint from you as what sort of typographic style would be better. Heavier? Lighter? Non-serif? And you are right. The sales have improved, tremendously. I have no hard numbers for July yet, but from the Amazon charts alone… yes, the new cover was a very good idea and I can see how a good cover will influence sales. I actually hadn’t believed the difference would be that extreme. Janet, I loved The Butterfly Collector as well. Joel, I learn so much from you. Thank you. Thanks for your comment WRT “His Beloved Infidel.” James and I found that the biggest struggle was how to get across that this was not just a romance novel, but a story about politics and how they affect people who just want to get on with their lives. I appreciate you taking the time to have a look. It’s important that you settle on a category for your book, because it can’t easily be 2 things at once. Decide this by figuring out who is the best market for it, romance readers or people who like stories about politics, then design the cover for that market. Are you folks even aware that there is already a book AND movie called “Beloved Infidel?” Google google google before you name your book so you don’t look like the cheap rip-off or copycat. I liked the couple artwork in the top part of the cover, but the lower half looked pasted on. Maybe you were shooting for something like tilework with the national symbols? The title really threw it off, tho, please research it. Best wishes. I liked the cover of CABERNET. This book can be use as a accessory for living room..!! I always like to do a fast scroll down of these covers first to see which catch my eye real quick. Three that stood out to me and caused me to take pause were Quest of the Warrior Maiden, The Bite on the End of the Line, and Antediluvian. They’d definitely get my click on Amazon. Thanks for running the contest and the feedback. I hadn’t considered the mountain in the photo does look a little ‘forbidding’ – something to consider on future books or a revision. Cheers. Joel, thank you for running this competition. It is a lot of fun and very informative. And thank you for the award. Ha! Tks for the opportunity, Joel! Cheers! Definitely got the 1970s Foxy Brown movie poster look. Great art and colors. Loved it. Best wishes. Hi Lucy! Thanks for the comment! Cheers! I’m pretty sure the author name and title need to be reversed on Orange Mound. It says something I would only expect to see on an erotica novel. :-/ Great round-up this month! I love the cover for Liminal. Very nicely done. Thanks for sharing, Joel! WRITE ON! Yeah, that’s pretty funny, I must have missed it during my review, but I’m going to assume it was intentional. And Liminal is lovely, thanks Jo. Jo, you’ve got a dirty, dirty mind! Ha! I would like to enter an ebook cover in your contest, but I’m not certain what is meant by cover URL. Thanks for your interest in participating. We need a JPG or other image file of your cover. The “cover URL” is a web address where we can find a suitable file. This might be your own website, if you have a picture of the cover there, or a retailer’s site if you don’t. 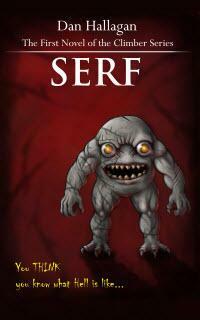 Thanks for reviewing my cover (SERF) above. I struggled with the type, and seeing some of the other strong typography in such close proximity, I see your point! Good advice – working on a revision. I can see why you chose Firebird as this month’s fiction winner but my favourite has to be The Butterfly Collector. Simple but effective. My cover designer and I have learnt so much from this site. Thank you for it! It’s hard to argue with the beautiful cover for The Butterfly Collection, and often the final choice about which cover will be the “winner” is quite difficult, since there are often half a dozen great covers from different genres in different styles. This month, I just found the artfulness of The Firebird cover irresistible. Thanks for your feedback, Janet.